Emilio Nanni is an architect, Designer and Painter. He has been working as an architect and designer since 1984. 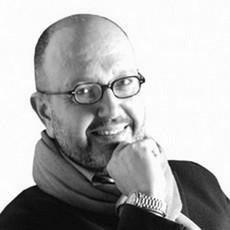 He has also been Professor of Furnishing Design at the University of Florence (Faculty of Architecture) since 1990. Nanni collaborates with many Italian companies, such as Atelier Bros’s, Cabas, Hoffmann, MDF Italia, Montina and Tonelli among others. His paintings have been exhibited in numerous public and private galleries, the latest of which are: “Metamateria”, 1997 (Galleria Fiorile Arte), Bologna, “Indagine sulla Metamateria”, 1998 (Sala Ex Fienile), Castel San Pietro Terme, Bologna, “Exit 2”, 1998, Collezione Campo delle Fragole, Bologna.